Martha Blanton Keever Ruppe, age 74, of Rutherfordton, NC, died Monday, December 5, 2016, at Rutherford Regional Medical Center. She was the daughter of the late William Festus Blanton and the late Ellen Irene Camp Blanton and a native of Rutherford County. 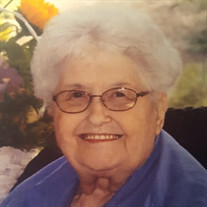 Martha was a member of Gray's Creek Baptist Church and served as former pianist at the church. She was preceded in death by three sisters; infant twin sister Mary, Susie Person and Nancy Bradshaw. Ronda Underwood and her husband T. J.
Ricky Keever and his wife Febie. The Funeral service will be at Gray's Creek Baptist Church at 2:00 PM, Thursday, December 8, 2016 with Rev. Bryan Ezell, Rev. Alvin Allen and Rev. John Godfrey. The body will lie in state 30 minutes prior to the service. Interment will be at Gray's Creek Baptist Church Cemetery. The family will receive friends following the committal service in the fellowship hall of the church. In lieu of flowers memorials may be made to Rutherford Life Services; 859 Thunder Road; Spindale NC 28160. Guest register/tribute wall available at www.mcmahnsfuneralhome.com. McMahan's Funeral Home & Cremation Services in charge of arrangements.